A rare chance to watch four of the world’s greatest operas complete. 1. Mozart’s symbolic comedy drama of spiritual enlightenment and love – Die Zauberflöte - Battle, Araiza & Moll, MET 1992 - 169 mins. 2. Donizetti’s sparkling romantic comedy – L’elisir d’amore - Battle, Pavarotti & Pons, MET 1992 - 128 mins. 3. 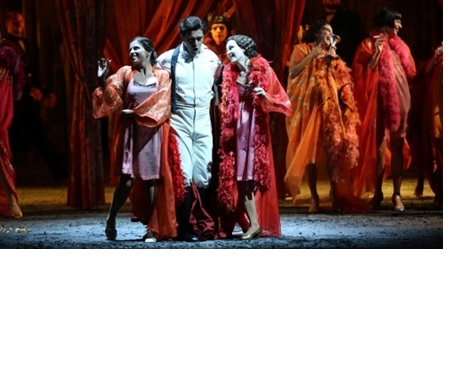 Puccini’s lightening quick opera buffa – Gianni Schicchi- Pons, La Scala 1983 - 45 mins. 4. Bartók’s darkly gothic fairytale – Duke Bluebeard’s Castle - Lloyd & Laurence, BBC TV production 1988 -63 mins. All operas are sung in their original languages and are subtitled in English. University of Huddersfield. He was Senior Teaching Fellow in Music and Open Studies Certificate coordinator at the University of Warwick (1993-2007). His music has been widely performed in Britain and Europe by Ensemble Aleph, Accroche Note, Linda Hirst, Ian Pace and others. As a performer he specializes in the music of the Twentieth century, vocal repertoire, and has given a number of world and British premieres. He is active as a composer, performer, lecturer and teacher.